Another left-wing nutbar actor is insulting conservatives for being stupid, smugly saying that right-wingers don’t understand the Constitution. That’s rich coming from an avowed communist like Ed Asner. I have no use for the man at all. He is a long time member of the Democratic Socialists of America. And Ed… I do understand the Constitution. Constitutional law to be precise. In 1984, Ed Asner was one of the “co-sponsors” of the Ninth Annual Banquet of the Labor Research Association. This organization was identified as a Communist Party USA front. It cooperated with the Soviet international front group, the World Federation of Trade Unions. So, he doesn’t have any room to lecture anyone on the Constitution, trust me. 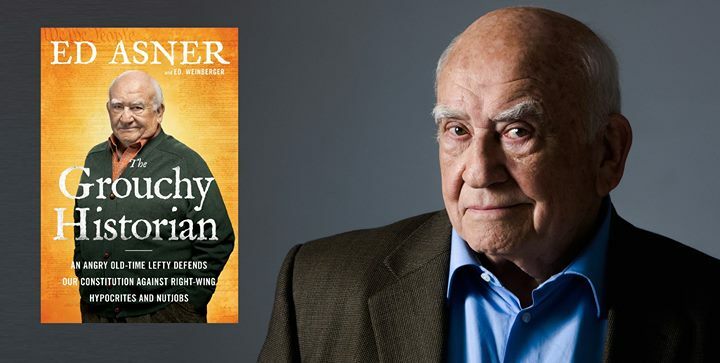 Ed Asner, 88, is an actor who has been involved in Democratic and Socialist causes for decades and is a 9/11 truther whose most recent hit was the Pixar movie ‘Up’, but he earned his fame on the Mary Tyler Moore show. So, the man who has concentrated his entire life on pretending to be someone else, is now a Constitutional expert as well as an expert on the innermost thoughts of every right-winger in the country. All the while espousing Marxist bull crap. Sounds just like Asner. Not that I’m particularly against actors having opinions — they can. At the ballet box. But as someone with experience in entertainment, you can get used to hearing praise for everything that you do and fall for it. And generally, entertaining and acting has very few transferable skills besides learning to talk smoothly and project confidence. Sales comes to mind… but aside from that, you would have to learn a new skill set. 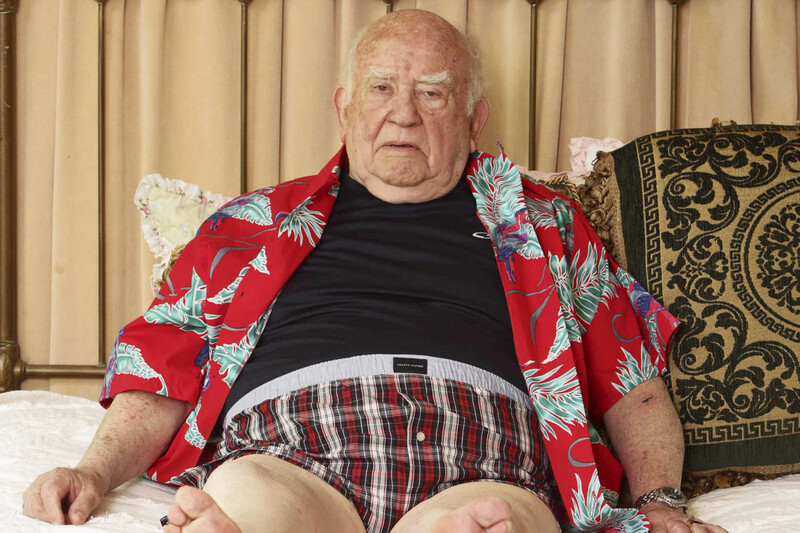 So, what group does Asner believe is the biggest misinterpreter of the Constitution? The NRA! Geez… I’m so not shocked that he’s going after those who embrace the Second Amendment. What? That was non-sequitur. I think he’s gone senile. The federal government needs money, so Trump is bankrupting coal companies? Ed, are you feeling alright? Trump is saving the coal companies and putting people back to work… exactly how does that bankrupt them? He goes on to claim that Trump fans “like his jack-booted style,” which is a phrase usually used to insult someone as a fascist or a Nazi. Wrong again… Trump is none of that. His supporters love him because he promotes America, security, success and freedom. Things that Asner hates. You know, Ed, even children know that if an insult isn’t working, then you should switch to a new one. Your lot has been calling Trump supporters Nazis for years now. Get a new phrase. You’re boring all of us to death with this crap. Stick to acting. But Asner took solace in that Republicans probably liked his character on that TV show he was on decades ago and that if you didn’t like the Mary Tyler Moore show, you’re “just plain un-American.” Really? I watched reruns when I was a kid, but many people have never even heard of it, Ed. You see… you are now elderly. Millennials have different reference points. Talk about arrogant and vain. Recently, actress Debra Messing has been popping off on social media insulting conservatives and even Megyn Kelly. At an NHL game last week she posted a photo of her young teenage son refusing to stand for the National Anthem while she tagged Black Lives Matter and said that she was proud of her boy. After a bristling response from a mother to a wounded veteran, whose son’s legs were injured so that he can no longer stand for the anthem, Messing deleted her post. Her publicist must be having a meltdown over the inflammatory politics that Messing is spreading. The likely reason that Taylor Swift is the biggest selling female pop star is that she, unlike Katy Perry, outright refuses to comment on politics to the point where left-wing outlets are angry at her for not taking their side. Asner, Perry and Messing might take note and get the hell out of politics.